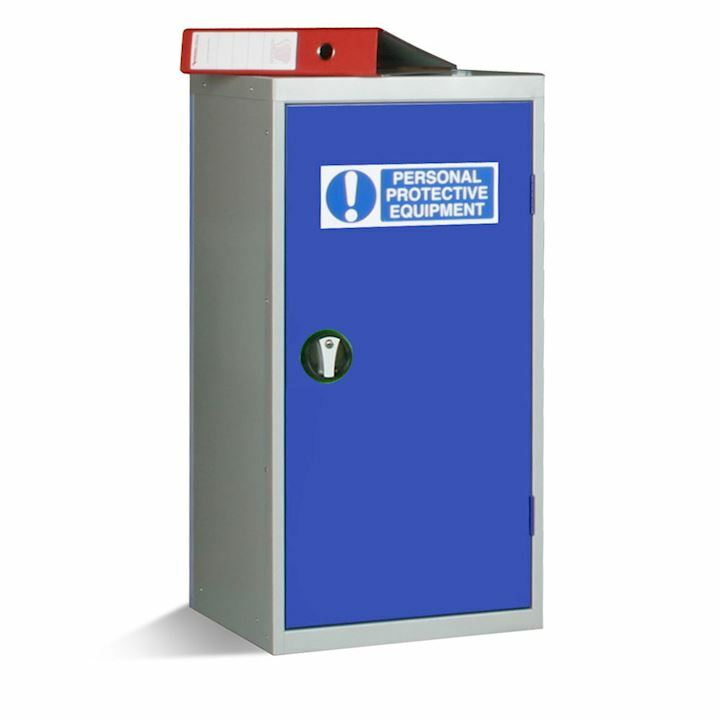 PPE Cabinets are great for the workplace. PPE is mandatory for many working environments due to the PPE at Work Regulations Act 1992. 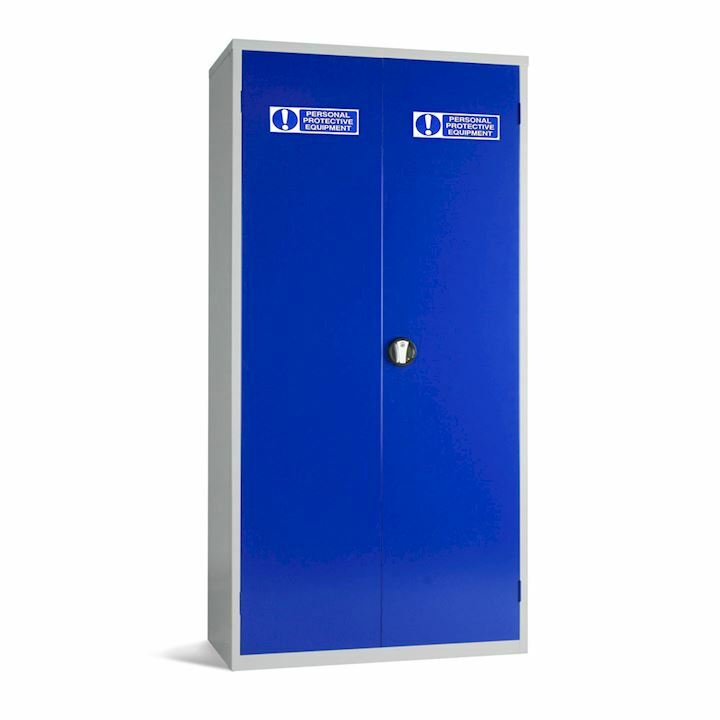 Keeping specialist equipment stored away is essential and our PPE cabinets provide the ideal space for this. 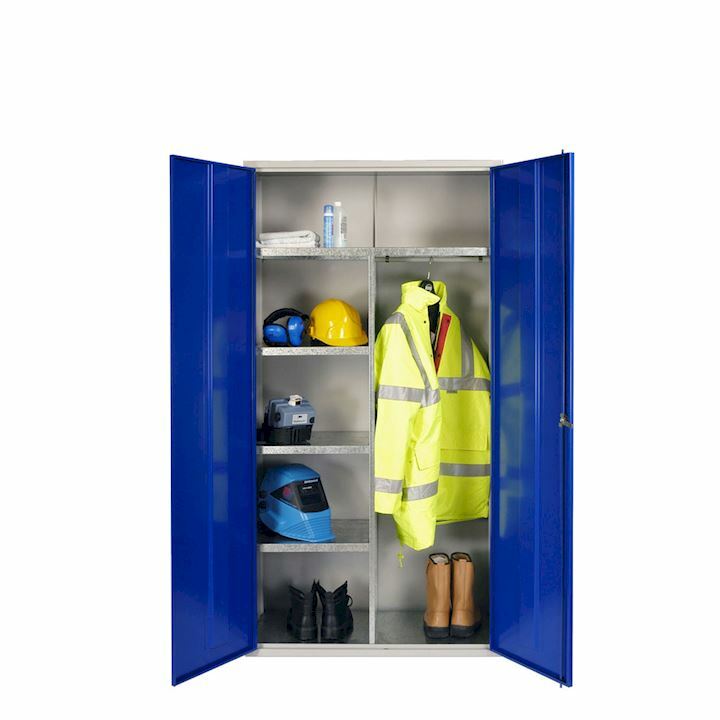 Organise hi-vis jackets, boots, hard hats, cleaning equipment and more in one of our handy storage cabinets. Featuring appropriate PPE Equipment labelling, galvanised internal compartments and 3 point security locking. 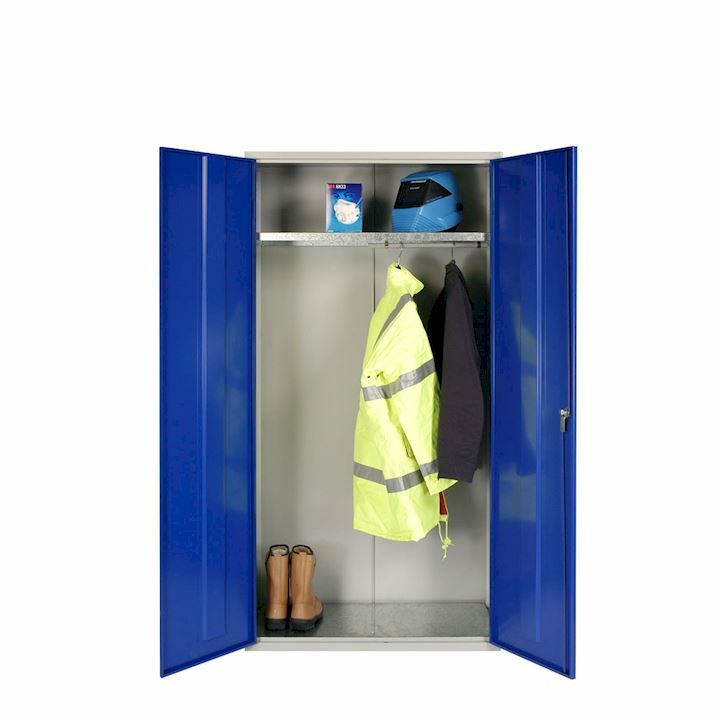 Choose from wardrobe cabinets, clothing & equipment cabinets, general storage or small cabinets. 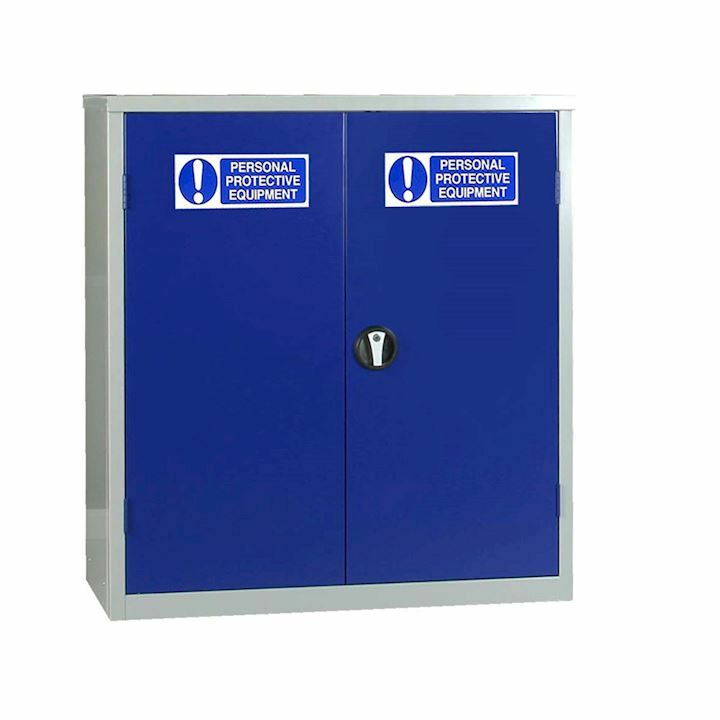 All PPE cabinets come with a steel grey body and blue doors. All cabinets are supplied fully assembled and are available for delivery accross the UK.